What's Going On created and performed by Dance Place. Christina Cultural Arts Center welcomes Dance Place of Washington, DC to celebrate Marvin Gaye's landmark music brought to life through exuberant dance. The one-night-only performance will be held at The Tatnall School's Laird Performing Arts Center in Wilmington, Delaware on Saturday, April 21, at 4:00pm. Dance Place Artistic Director Vincent E. Thomas looks through the lens of Marvin Gaye's transcendent music and finds a reflection of today’s world. 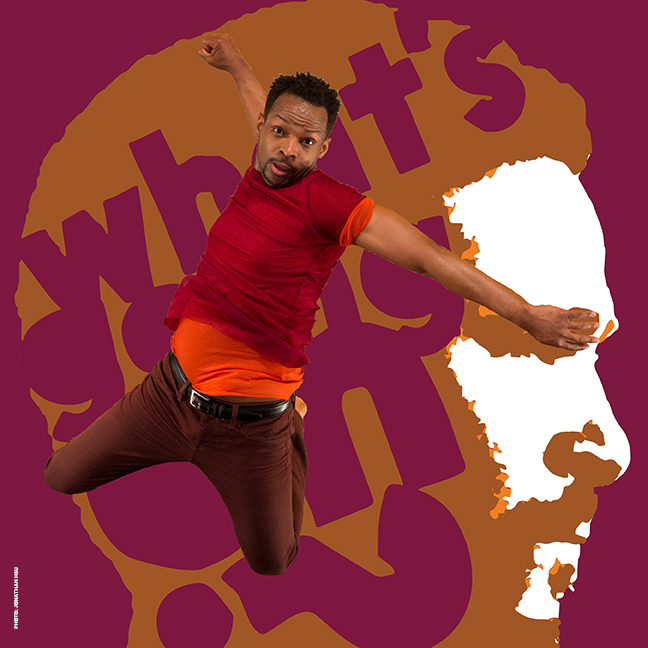 Gaye's insights into life, love and social justice are given fresh perspectives through Modern, Jazz and West African dance choreography by Thomas, Ralph Glenmore and Sylvia Soumah. The program is a full-length dance piece set to the groundbreaking music of Marvin Gaye, including classic hits like Heard it Through the Grapevine, Let’s Get It On, Mona Lisa, Inner City Blues, Got to Give It Up and many more. What's Going On seeks to evoke thoughtfulness and sparks conversations in each community it touches. Vincent E. Thomas (Artistic Director) is a dancer, choreographer and teacher. His choreographic work has been presented nationally and internationally. He is Artistic Director of VTDance and Professor of Dance at Towson University. Ralph Glenmore (Choreographer) is a former principal dancer with Alvin Ailey American Dance Theater. His illustrious Broadway career includes A Chorus Line, Bob Fosse’s Dancin’ and Bubblin’ Brown Sugar. Sylvia Soumah (Choreographer) is Founder/Artistic Director of Coyaba Dance Theater, performing traditional and contemporary West African dance and music. The What’s Going On company is made up of eight new and established dancers, many familiar to the DC dance scene. Tickets are $22 or $16 for students, all available now at ccacde.org. This project is made possible, in part, with support from Mid Atlantic Arts Foundation Delaware Special Presenter Initiative Grant.